I have great pleasure in sharing with you a guest blog from Health Visiting Lecturer Charlotte Smith and Midwifery Lecturer Neesha Ridley – a great team from UCLan. 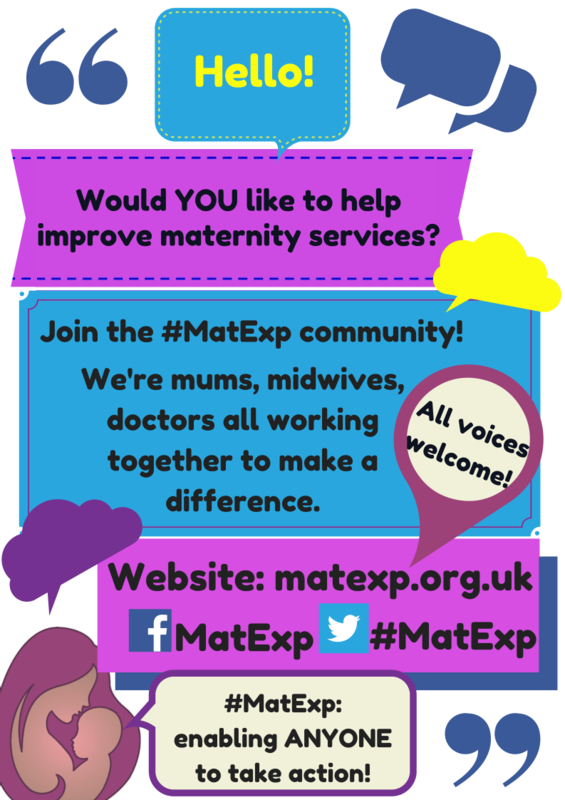 Following our wonderfully informative Twitter chat last week, we were asked to contribute to the MatExp blog – what an honour, thank you! 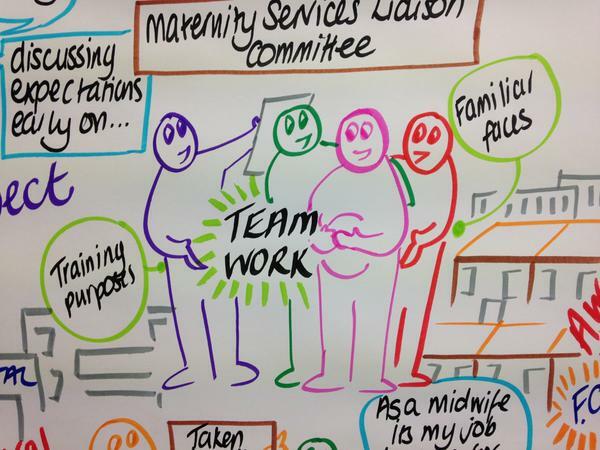 We are writing as a partnership, because this is what we believe health visiting and midwifery should be. To explain, “We” are Neesha and Charlotte, a midwife and health visitor (in that order!) who recently found ourselves united in a number of ways. Second, our passion for joint working was discovered when Neesha asked Charlotte to come and speak to midwifery students about the role of the health visitor. 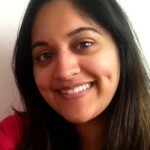 Neesha had been aware of the importance of MDT working in the childbearing continuum and had organised a succession of guest speakers, designed to give Midwifery students the knowledge and experience of the services they will work alongside in the “real world”. Charlotte leaped at the chance, and went along to the session prepared to outline the role of the health visitor. What neither of us had been prepared for was the response. Armed with insightful questions and an obvious desire to learn more about their health visiting colleagues, the midwifery students described the need for closer relationships between the two disciplines, and the lack of opportunity in practice to facilitate this. On feeding this back to the health visiting students, Charlotte had exactly the same response. Why aren’t we being taught with midwives? Why do we not have relationships with our colleagues if we are to work in partnership with them? 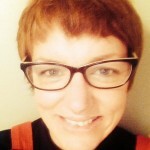 Why is it that the first time we “properly” meet a midwife is when our training is over? How are we supposed to understand each other’s roles if we learn completely separately? 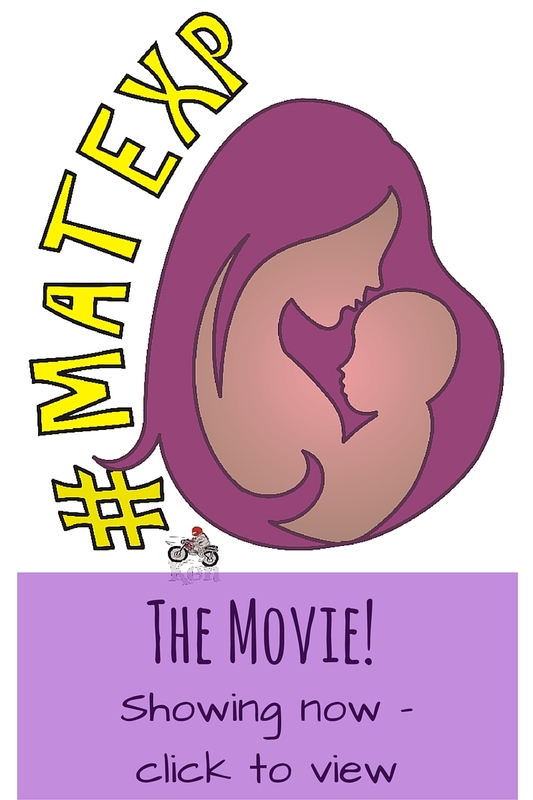 Our engagement in the Twitter chat around this issue last week confirmed that parents themselves value consistent, seamless support from services in the perinatal period. It also confirmed that at best this experience was inconsistent across the UK. Just as it is a privilege to be involved in the journey of new parents and the arrival of their baby in the world, so it is equally a privilege to be part of the journey of a new midwife and health visitor into qualification. As we reflected on and evaluated these sessions together, it occurred to us that there were synergies between the two experiences – and it made sense to us that like in every issue in the 1001 critical days, the answer lies in early intervention. As lecturers, that means introducing the two disciplines in a more facilitative, educational experience during education. In practice, this could be mirrored by a home or clinic joint contact between health visitor, midwife and the family during the antenatal period. It is well documented that antenatal contacts are significant in improving the health outcomes of women, children and families – we are currently collating the evidence in a paper on exactly this subject. We are very aware that there are organisational and strategic challenges to this proposal, having worked at the coal face for some time and recently, and from listening to our students, and to the views of parents and commissioners. However our third area of unity is this – we have a duty to our professions and to our students, and above all to the children and families who experience our services. We have the privilege of being on a journey with inspirational, committed and dedicated students and we owe it to them to provide the experiences that they identify as facilitating best practice. As a result we are working together not only to influence the curriculum to include structured facilitative relationship building and education between our two professions, but to encourage students to take responsibility for ensuring they maintain this out in the real world. Not every family would appreciate a joint visit from services – nor might it be economically or organisationally feasible in some cases. But if we educate and practice ourselves as separate, uncommunicative services, families will continue to see us as such. With more conjoined education and more solid relationships from the outset, at least families will have the choice. 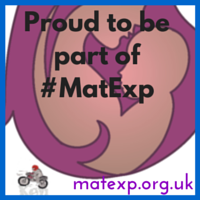 Join the #MatExp conversation on Facebook and Twitter! I have been a midwife for 25yrs. The concept of HVs and midwives working together is NOT new!! I was Teenage pregnancy midwife for 11yrs in Hyndburn area 2003 to 2014 and worked in total harmony alongside HVs. Prior to being Teenage pregnancy midwife I was a team midwife for 7yrs and was totally integrated with the HVS TEAM …..So my question is WHAT has happened over the last few years that this is NOT so anymore??? A very good question Lesley. And indeed some teams do work well together. But it does not seem to be the norm. Like you, I too have had some excellent experiences of joint working with my midwifery colleagues. As a practitioner I found I learned so much from midwifery colleagues, and that together we could provide a good service. So I certainly agree – this is not a new concept by any means. However the feedback we have had suggests joint working is inconsistent, and unsupported in education. It is the education side of this that we are working on. I have no experience personally of working in an integrated MW/HV team, that sounds really great and I would love to hear more about your experience of that if you would be willing? I think there will be more HV/MW integrated teams with the introduction of 1001 critical days, and that midwives will be integrated into the 0-19 team. I Charlotte am happy to talk to you about my work as a midwife and teenage pregnancy midwife alongside and in partnership with the HVs. Hi Charlotte, You can contact at this email. Like Lesley I have been a midwife for over 25 years and have always worked in conjunction with health visitor colleagues in a most harmonious and productive way, addressing the wider determinants of health and striving to ensure joint working to support the best possible outcomes for families. I also work in East Lancashire and co working with health visitors and many other agencies has been the norm for many years. Long May it continue. Well said and great role modelling for the students to take to practice placements. 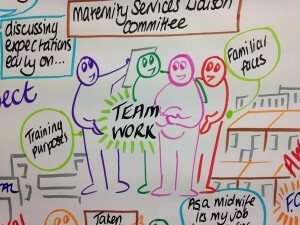 Collaborative working between midwifery and health visiting services is critical as you rightly emphasise, particularly antenatally in parent preparation sessions and in the post natal period when coordinated care with meaningful communication can improve outcomes.